If I had to decide one my favorite things about being a creative professional, finding inspiration ranks at the top. Sometimes inspiration comes naturally with a project and other times I hit a roadblock and need to intentionally seek it out. To avoid the roadblock, I’m constantly absorbing my surroundings and stashing ideas – digital, print and typographic. For me, timeliness is irrelevant. It’s definitely important to stay up to date with design trends, but one of my biggest sources of design inspiration is advertising from the past. 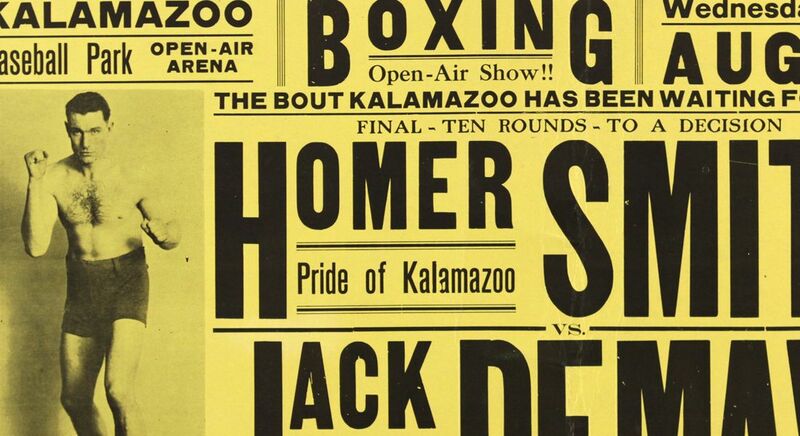 I’m a huge vintage typography fanatic – whether it’s the condensed letters from old boxing posters or timeworn, scripted logos on coffee sacks from across the world. I love the flatness of old travel posters from the Art Deco period. It’s easy for me to get lost antiquing for hours. When it comes to web design, I try to stay up to speed with the fast paced technology changes. Now that everyone has a smartphone stashed away in his or her back pocket, you need to design for that demographic. I’ll surf through sites to test out their responsiveness and see how they react when I resize the window or hover over an image. Navigation and usability are key, so when I come across sites that nail those features, I take screen shots and bookmark them for future reference. If you find yourself hitting creative blocks and need to get inspired, my best advice is to start to build your toolbox of ideas. Make it part of your daily routine. Snap photos, pick up trinkets, grab magazines or brochures and keep them handy – you never know if it will be useful for your next project.